It is safe to say that Greenbrae resident Julie Kaye loves animals. After working as an unpaid employee at Marin Humane Society for 21 years, she decided to lend her dedication to another organization, Animals Asia. Animals Asia has spent the last 12 years helping Moon Bears, and Julie knew that this organization was the right fit for her. Recently, Julie jetted off to China to learn more about this organization, and to see the bears for herself. When I decided to join Animals Asia, I met with their US director Alice Ng to discuss what I could do to help the organization. 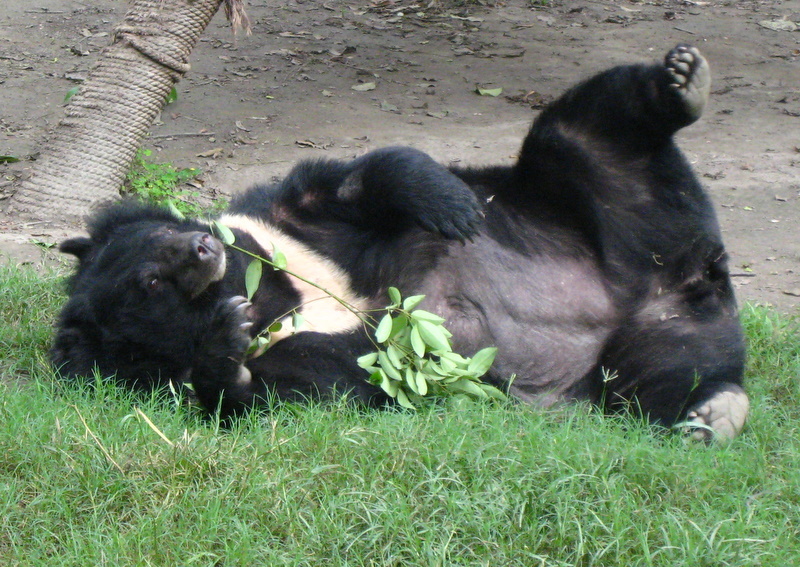 Although Animals Asia has offices around the world, the bears are located in China and Vietnam. We decided that I would benefit from traveling to Chengdu, China to see the bears for myself. cruelty-free alternatives. My role in Animal Asia is fundraising, which is something that I love to do and should greatly benefit the organization. piece of straw…it was adorable. The second highlight was the clinic. One of their three vets is from Marin, Monica Bando. I worked in the Marin Humane Society Clinic for five years, where the average surgery was done on an eight pound cat. At Animals Asia we did surgery on a 300 pound bear! The logistics of just getting the bear on the surgery table was mind-boggling. I spent one whole morning watching Monica give a bear a health check and then remove her gall bladder. I even got to trim her nails…think paws the size of a whole kitten. It was thrilling just being that close to one of these charming bears. The surgery went on for hours but we kept checking back. The biggest challenge was dealing with all of the abuse that the bears were subjected to when they were on the farms, before they were saved by Animals Asia. It is heartbreaking to think of a bear, or anything, caged for over 30 years in an area so tight that they can’t even turn around, being jabbed in the chest daily by a farmer searching for its gall bladder, and suffering from lack of food and water. Even the though of it is horrible. This is a fabulous experience for anyone who loves animals. To see them playing, sleeping in their beds, splashing around in the water, or even just laying in the sunshine… it just does something to your heart. This entry was posted in Animals and tagged animals asia, asia, china, Julie Kaye, moon bears. Bookmark the permalink.